Multi award-winning British singer, songwriter, producer and (since 2009) record label owner. 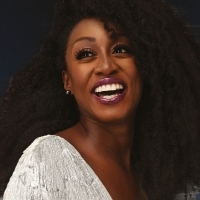 Since her 1995 debut, "The B-Funk", Beverley has received MOBO, E.M.M.A and Black Music Awards as well as Mercury, Brit, and Capital FM award-nominations and an Urban Music 'Lifetime Achievement' award. Other albums include: "Prodigal Sista" (1998), "Who I Am" (2002), "Affirmation" (2004), "Music City Soul" (2007), "100%" (2009), "Soul UK" (2011) and 2016's: "Soulsville". In 2013, Knight embarked on the first of her theatrical forays, playing Rachel Marron in the musical adaptation of The Bodyguard (originally performed by Whitney Houston), for which she was nominated for an award. She went on to star in the West Production of "Memphis", then played "Grizabella" in the 2015 revival of Cats, reprising her role in the Bodyguard in 2016.